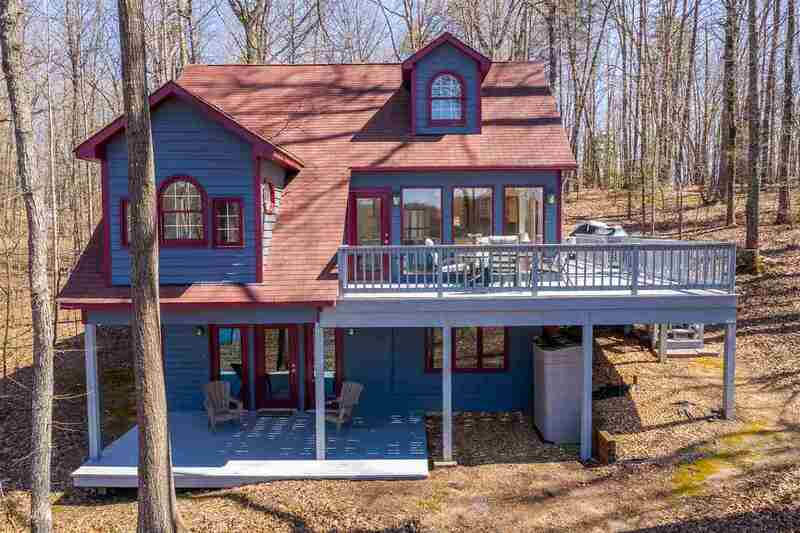 Roy Wheeler Realty Co. MLS# 588537 - 2806 Wallers Quarters Rd, Bumpass, VA 23024 - Roy Wheeler Realty Co.
Don’t miss this charming Lake Anna waterfront home! Meticulously maintained and located on the public side of the lake, enjoy gorgeous water views and July 4th fireworks right off your dock! New HVAC. Freshly painted. New flooring. This 4 bedroom, 2 bath home sits on a lovely open and wooded 1 acre lot. Updated kitchen with SS appliances, granite countertops and tile floor. Freshly painted living room with a wall of windows opens to an entertainment size deck. First floor master enjoys lovely water views and attached bath. Upper level loft with two bedrooms. Walk out lower level game room with bedroom, full bath & storage. Over 200′ of water frontage. Recently refurbished dock with electric ski lift. Sought after location and a must see! Directions: From Rt 601: Lewiston Rd, Right on Minor Rd. Continue onto Wallers Quarters to house on right. Look for Lake Anna Island Realty sign.